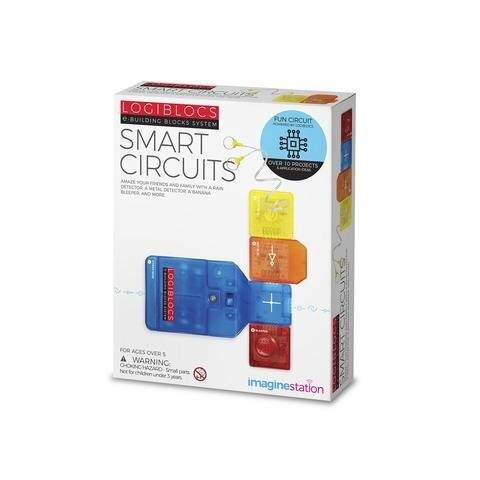 FF- Logiblocs Smart Circuits - Grow Children's Boutique Ltd.
Logiblocs is the electronic discovery system that helps children understand the world of technology that we live in. By plugging the blocs together, children can build control systems and various gadgets that are fun and useful! 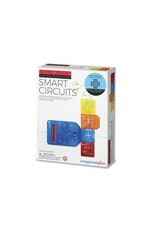 A starter kit to explore the world of Logiblocs and ignite your creativity. Over 12 projects are included to make smart circuits such as Rain Detector, Metal Detector, Banana Beeper, and many more. Use the blocs to make your own gadgets that perform various functions.